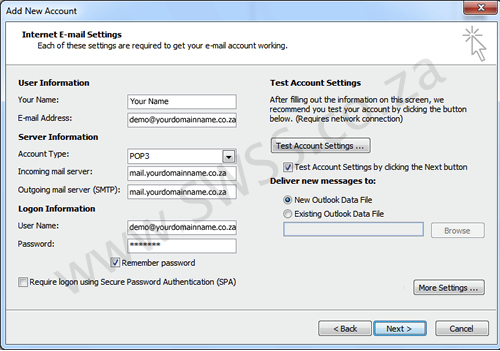 See below for instructions on Microsoft Outlook 2010 email setup, POP3 is preferred for your Primary email account. 1. 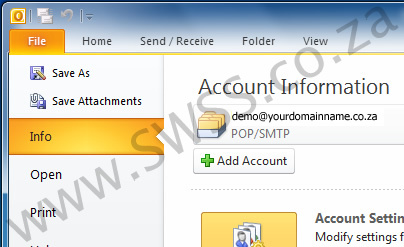 Click on the File tab, select Info from the left menu and then click Add Account. 3. 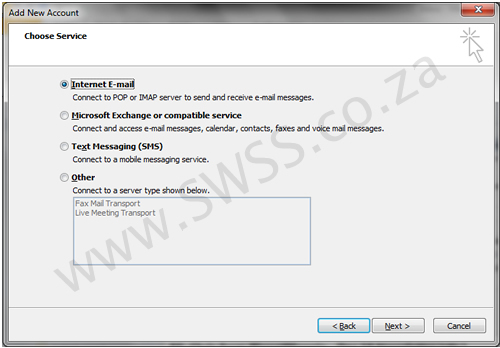 Select Internet E-mail service and click Next. 5. Once this has been done click on the More Settings button and an Internet E-mail Settings tab will open up. 6. Click the ‘Outgoing Server’ tab at the top of the screen. 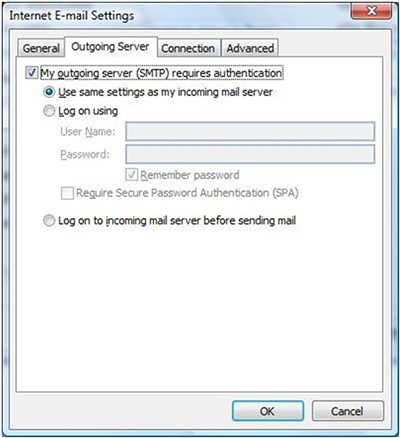 Make sure ‘My outgoing server (SMTP) requires authentication’ is ticked and make sure that ‘Use same settings as my incoming mail server’ is also selected. 7. Click on the ‘Advanced’ tab. 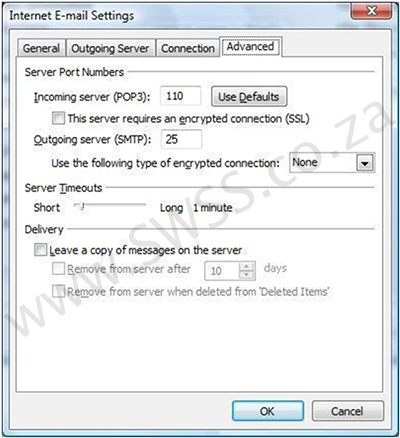 And make sure your Outgoing (SMTP) is set to 26 like in the screen shot below. 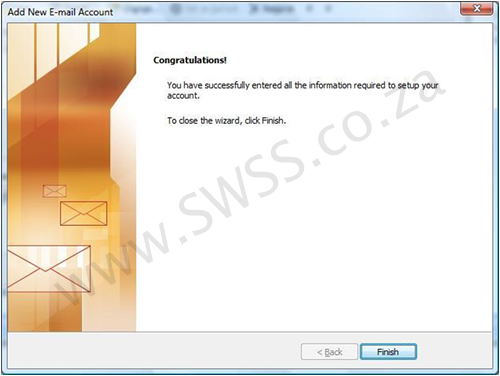 Once you have done all of this click the ‘OK’, ‘Next’ and then ‘Finish’ buttons and now you should be able to send and receive email.